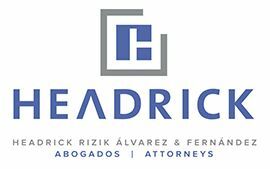 Founding partner at Headrick Rizik Alvarez & Fernández. His professional practice is focused in the areas of banking, international finances, mergers and acquisitions, insurance law, corporate law in general, the execution of contracts that involve public or private entities, as well as in processes related to the encouragement of foreign investment. 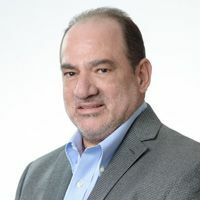 Roberto Rizik actively participates in the drafting and revision of projects of Laws and regulations, and is member of the Presidential Commission in charge of the drafting of the Code of Commerce of the Dominican Republic. Has collaborated with and is coauthor of the chapters corresponding to the Dominican Republic in several legal guides, including The International Comparative Legal Guide to: Securitization 2007, published by Global Legal Group; and, LATINLAWYER Reference – Mining 2009, published by LATINLAWYER. Recognitions: Mr. Rizik’s professional practice has been noticeably recognized by Chambers Global 2009, Chambers Latin America – Leading Lawyers for Business 2010 edition and Latin Lawyer 250 – Latin America Leading’s Business Law Firms, 2009 edition. Memberships: Official Dominican Bar Association (CARD), Dominican Association of Labor Law and Social Security, Presidential Commission in charge of the drafting of the Code of Commerce of the Dominican Republic.